I believe that the selectors have played safe and stuck to a tried and tested formula when selecting the teams for the upcoming series. Apart from return of Mohammad Hafeez for the T20I side which in my eyes is probably due to the experience factor as well as him being a robust bowling option after he was allowed to bowl again by the ICC, I did not find anything too alarming in the selection of the squads. Pakistan to me look well set for a successful outing in Zimbabwe. Whilst it is true that Australia are going through a tough time in ODIs due to a rebuilding phase brought on by injuries and the absence of some key players, no one should under-estimate their overall strength in any format of the game. Pakistan will face them in a Tri-Series along with hosts Zimbabwe and based on paper form, we should emerge as winners. But unfortunately, we have a history of doing the unexpected. With some spectacular wins, we have seen many losses from winning positions and like it or not, Pakistan have an annoying habit of helping out-of-form teams regain form in the most at their expense in an inexplicable manner. This will be the challenge for Sarfaraz Ahmed and his side and one hopes that they will have learnt from the lessons of the past to emerge victorious in the T20I Tri-Series and also in the ODI series against Zimbabwe. There has been a lot said about Mohammad Hafeez’s suitability for the Pakistan ODI and T20I squads but in my view the selectors have decided to hedge their bets on what he brings in terms of stability to a brittle middle-order. To me, Mohammad Hafeez selects himself on experience alone and that also seems to be the view of the Pakistan management and selectors. He brings a lot of experience in the shorter form of the game and if anything, he is also very effective as a bowler. Looking ahead to the World Cup for 2019, the Pakistan selectors are pretty much decided on the core members of the side but the worries around the effectiveness of the middle-order seems to be what is driving the inclusion of Mohammad Hafeez in the squad and should not really shock anyone. It has always been my opinion, and one that I expressed around the time when Misbah-ul-Haq was leaving the international scene, that Pakistan needed stability and they should have asked Younis Khan to take the captaincy in the Test format for a year or so. This would have allowed some continuity and possibly some time to groom another captain. It would have also helped the replacements to be vetted properly. However, this was not done, and we are at a point where Sarfaraz Ahmed has struggled as captain in Tests. But, the solution to this issue is not to replace him but to allow him more breathing space so he can develop himself without being hounded by experts and the media. What Sarfaraz does need to work upon is his batting which to me has suffered. My view is that an attacking batsman like Sarfaraz is not really suited for the pressures that captaincy can bring on a player. His technique of almost squatting at the time of the ball being bowled at him is causing him issues in dealing with bounce. The real concern is that his failure in batting in Tests may have a domino effect on his batting performances in Limited-Overs matches as well which given the approaching World Cup in 2019 is a problem. Like I said, now is not the time to criticise him but to support him, but he also needs to work on his own batting which will be of great help to Pakistan in the future. There has been a lot of debate and a few rumours flying around Mohammad Amir’s suitability for playing all 3 formats of the game but let’s face it – Pakistan does not have the sort of bench strength which will allow us to replace him completely from any one format of the game and especially Tests. He has established a reputation for being a master bowler which Pakistan cannot afford to not have in their line-up but to me the way around it is to for the administration to play smart. Pakistan need to pick and choose the matches Mohammad Amir will play and simply use him for games that matter instead of blindly putting him in the line-up for each game they play. To me this is the intelligent way forward and let me say that I have a feeling that apart from Amir, there may be more players who also prefer not to play Tests, so the administration needs to devise a way to deal with this situation. Whilst it has not been made official but given his absence from the Zimbabwe bound squads, there is a very good likelihood that Ahmed Shehzad has been dropped due to an alleged doping offence. I feel that Ahmed Shehzad needs to work on his performance on the field but there is a more important principal at stake which is of being a role model to youngsters and such incidents don’t help that cause. Ahmed Shehzad should take his responsibility as a role model very seriously and if he doesn’t then the PCB needs to take stern action. And it's not just him but the likes of Umar Akmal also need to be pulled up and told what is expected of them. Both players need to be put in a rehabilitation programme whereby they are given advice and the chance to fix themselves before it's too late. 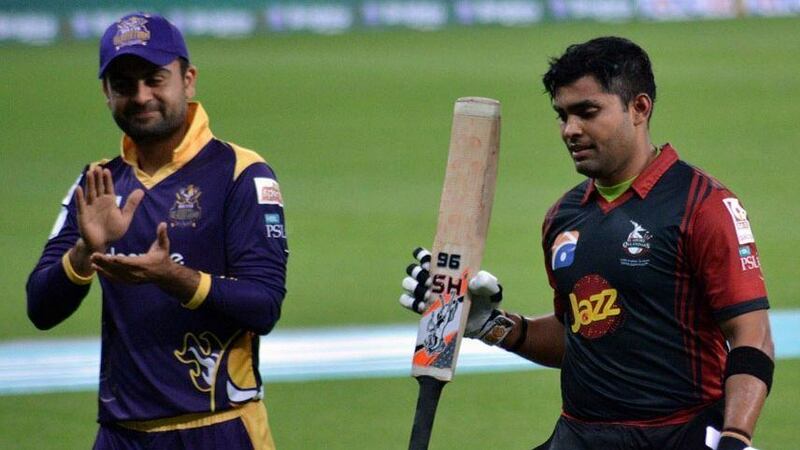 To me Umar Akmal needs to be concentrating on getting his career back on track and stay away from controversies. For that to happen, the PCB needs to really sit him down and talk to him. Here the PCB needs to take the role of the elder in this conversation because things have gone from bad to worse and there is a huge communication gap between the two sides. What is happening is that Umar seems to have grievances against the establishment and he is not shy to express them and when he does that, the PCB react angrily. What needs to happen is that the PCB has to explain in clear terms as to what is expected of Umar in terms of his behaviour and his actions. He needs to be told that if he does not follow the path laid down for him then he will not be allowed to play for Pakistan. If Umar fails to understand what is expected of him, then the PCB should simply tell him to take up another profession! It appears to me that there are some issues in international cricket which have taken on chronic proportions. Ball tampering is one of them and I feel that the ICC is not paying enough attention to it even though they have rules and regulations regarding the subject. They need to be seen to be taking stern action against players who break these rules and until that is done, we will see more instances of what we saw in South Africa and the West Indies. Why do we waste our time over these 2 losers? Lol so we select players on experience and not on playing ability? Sick of using this as a reason as to why people play . In our recent tour it was our inexperienced players who turned up. Hafeez should have been booted out long ago. He has choked when it matters other than 1 innings. He isn't going to improve and it's an absolute myth that we need his bowling. Amir Sohail has always loved Muhammad Hafeez ever since he selected him for the first time. He is probably his only loyal supporter in the world. What nonsense that Hafeez should even be selected based on experience I have played cricket and I have experience so I automatically qualify as well. Last edited by Abdullah719; 25th June 2018 at 04:25. How much experience you have playing for Pakistan? Imad Wasim's bowling is a lot more useful that Hafeez's at this stage of his career. Hafeez isn't the same economic bowlers he once was. All of them need to be put on strict mental, physical and conditioning rehab for 6-8 months. Don't worry about me. All this experience thing is nonsense. Just like some of our other beloved critics and experts like Sikandar Bakht, Abdul Qadir, Mohammad Yousaf, you just know what Amir Sohail is going to talk about. And it's pretty embarassing to hear it. Seems like he is still bitter about Sarfraz ever since that CT 17 drama by him. He thinks Sarfraz is struggling as a Test captain. I think he was brilliant as a tactician in the England and Ireland series. Yes his batting returns are not coming, but it has only been 5 tests till now, give him time, he will improve. Plus he is the only realistic captaincy choice we have right now. He makes a valid point regarding Ahmed Shehzad and Umar Akmal -but sadly they have been mollycuddled and spoilt by PCB officials and by some captains and have thought that they were untouchable. Whenever any sort of discipline has been attempted with these 2, they have gone running to the media or their backers who then put pressure on the PCB. If Pakistan dont do well in this series, we can well expect calls for both to be brought back! Even if we fail, which we have not, there is no scope for these 2 in foreseeable future. They both have been given 100s of chances and nothing substantial happened except for few innings here and there. Apart from non performers these 2, especially Umar is toxic for dressing room environment as well. Time to discard them completely. These players are good for nothing and never posses any talent. Why? Why waste time and resources on these guys when we already have better replacements in the team? Both have had ample chances but have not learnt their lesson. It's almost like they feel they are above the rules and don't have to adhere to guidelines set by the PCB. We have wasted enough money, ressources and attention on them. If they had the right attitude but a hard time learning and improving, I could have some sympathy for them. However it is obvious that on top of being slow-learners they also have the worst possible attitude. It is time to move on. It is time to spend our energy and ressources on younger players who also have the right attitude. These two lads were considered better than Virat Kohli by many peers here a few years ago and now they are being advised to put in rehabilitation. I guess thing have really changed in last few years. Last edited by navin; 13th July 2018 at 14:29. PCB don’t owe the two egomaniacs anything they have been the architects of their own downfall.